Some ingredients (like emulsifiers) are uniformly recognized as being unhealthy choices. For others (like almond flour), there’s some pros and cons to consider in determining whether they are a good choice for you as an individual. And yet other ingredients are very unhealthy choices but are erroneously promoted as healthy alternatives to sugar! 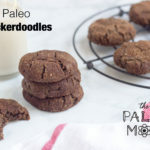 These ingredients are finding their way into recipes and packaged treats marketed to the Paleo community–and that is the reason for this post. 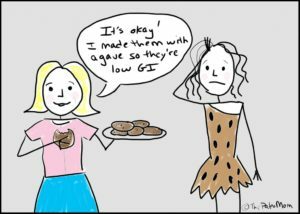 There’s a concept that if a Paleo treat is made with a sugar alternative–like agave, stevia, xylitol, or erythritol–and is thus “low-carb” or “low glycemic index”, that that makes it a good choice for a more frequent indulgence. This couldn’t be farther from the truth. Our bodies are not designed to metabolize these sugars in the large quantities found in processed foods. Yes, even foods and tabletop sweeteners that are marketed as “natural sweeteners” (such as agave nectar and stevia) are not actually natural for our bodies. In most cases, consuming these glucose substitutes is more harmful than consuming glucose itself. I discussed fructose in this post and stevia this post. Now let’s focus on the detrimental health effects of sugar alcohols and nonnutritive sweeteners. 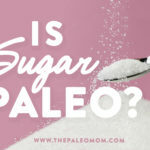 Sugar alcohols (also called polyols, which are discussed again on pages 210-212 in The Paleo Approach) are hydrogenated forms of sugars, meaning that they contain a hydroxyl group, which is what makes them technically alcohols. They are naturally occurring sugars, typically found in small quantities in fruit. However, some sugar alcohols have been refined and purified for use as sweeteners, including sorbitol, mannitol, xylitol, and erythritol. These sugar alcohols have gained popularity as sugar substitutes because while they are relatively less sweet, they also have less of an impact on blood-glucose levels. 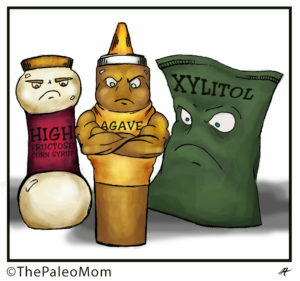 Sugar alcohols are passively and, with the exception of erythritol, incompletely absorbed in the intestine. They are also fermentable sugars, which means that they feed gut bacteria. 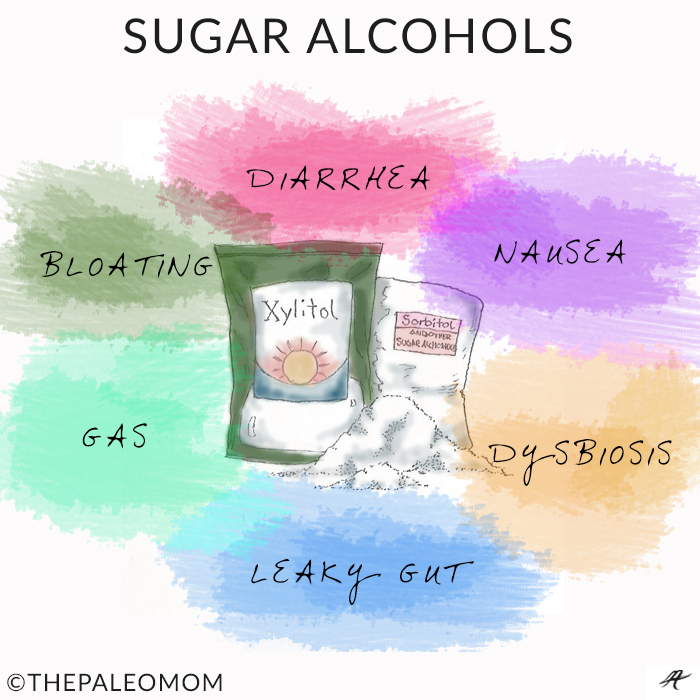 In fact, the most common side effects of sugar-alcohol consumption are severe gastrointestinal symptoms, such as watery stool, diarrhea, nausea, bloating, flatulence, and borborygmus (the rumbling noise produced by the movement of gas through the intestines). The dose required to produce the side effects varies depending on the specific sugar alcohol and the sensitivity of the individual. Furthermore, one study showed that the sugar alcohols xylitol and mannitol increase permeability of epithelial cells (in a cell culture system) by directly opening up tight junctions. Tight junctions are the structures that hold epithelial cells together to create a solid barrier (read more about the intestinal barrier here). When a substance causes the tight junctions to open, this causes a leaky gut. Another study showed that erythritol has a similar effect on tight junctions and does cause increased permeability of the epithelial barrier. Again, this means that erythritol, generally regarded as the safest sugar alcohol, can directly cause a leaky gut. To make matters worse, erythritol has also been shown to increase the virulence of bacteria from the Brucella genus, which includes pathogenic bacteria found in contaminated, unpasteurized milk. While the effect of sugar alcohols on intestinal permeability in humans has yet to be studied, this should be enough evidence for avoiding their refined forms. Nonnutritive sweeteners are substances that taste sweet but don’t provide substantial calories. They include acesulfame potassium, aspartame, neotame, and sucralose, as well as the “natural” sugar substitute stevia (see this post) and have been linked to increased risk of obesity and metabolic syndrome. For example, studies have shown that the more diet soda you consume, the more likely you are to be overweight or obese and to develop metabolic syndrome; sugar-free soda, it turns out, has a greater impact on these conditions than any other dietary factor. In fact, in animal studies, the consumption of nonnutritive sweeteners causes a significant increase in body weight even with no change in food intake, which implies that these sweeteners affect metabolism or hormones. In some people, the consumption of nonnutritive sweeteners causes the release of insulin in what is called cephalic phase insulin release. This means that the body releases insulin upon tasting something sweet in anticipation of a blood-sugar increase (because the sweet-taste receptors on the tongue generate nerve impulses that are relayed to the brain). In the case of sugar consumption, this prerelease of insulin helps control blood-sugar levels. 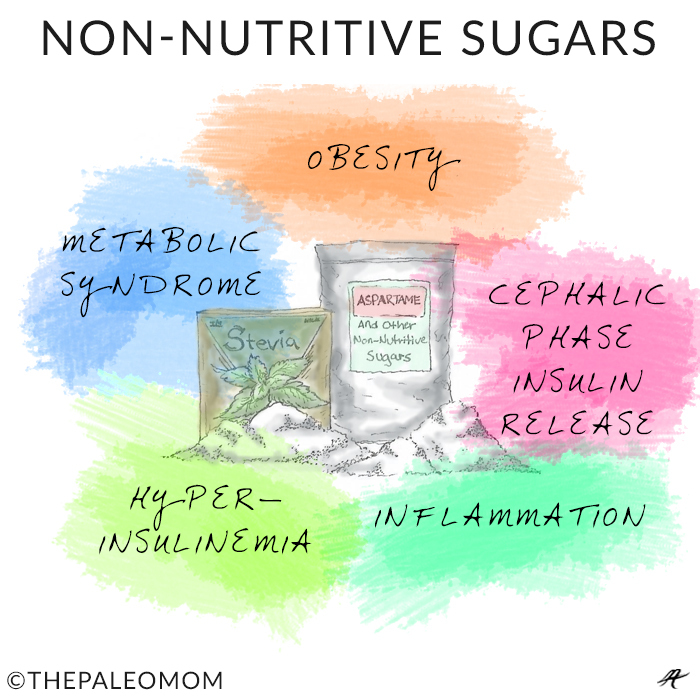 However, in the case of nonnutritive sweeteners, this causes hyperinsulinemia (because of the absence of elevated blood sugar), the effects of which were discussed starting on page 120 in The Paleo Approach. Cephalic phase insulin release seems to happen in some people and not others, and why is not clearly understood. Recent studies show that nonnutritive sweeteners have physiological effects that alter appetite and glucose metabolism. There is evidence that these sweeteners bind to receptors on enteroendocrine cells (specialized cells in the gastrointestinal tract that interact with the endocrine system and secrete hormones) and pancreatic islet cells (cells in the pancreas that secrete the hormones insulin and glucagon). By interacting with these endocrine cells, nonnutritive sweeteners can either stimulate or inhibit hormone secretion. In particular, there is evidence that nonnutritive sweeteners cause an increase in the secretion of glucagon-like peptide-1 (GLP-1; see this post on the Hormones of Hunger or see page 132 in The Paleo Approach) by enteroendocrine cells, which signals to the pancreas to increase the secretion of insulin and decrease the secretion of glucagon. Again, this results in hyperinsulinemia in the absence of elevated blood sugar. There may also be some direct effects of nonnutritive sweeteners on inflammation. For example, aspartame increases oxidative stress and inflammation in the brain, although how remains unknown. Consuming sugar alcohols or nonnutritive sweeteners in lieu of “regular” sugar is like going from the frying pan to the fire. As much as excessive glucose is harmful, these alternatives are even more so. 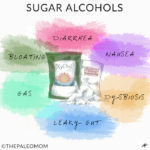 Fructose-based sweeteners like agave nectar (discussed in this post) and stevia (discussed in this post) aren’t good choices either. There is no way to cheat desserts. I don’t recommend any sugar substitutes. As much as high glucose levels are detrimental, the body can actually handle real sugar better than it can any of the manufactured or isolated substitutes. It’s important to emphasize that the Paleo diet is not a low-carb or no-sugar diet: treats are OK on occasion and there’s nothing wrong with consumption of starchy vegetables and fruit in moderation. But blood-sugar levels must be regulated, which means that portion size is important. Also, regulating blood sugar is much more difficult in those with a history of obesity, diabetes, high blood pressure, cardiovascular disease, or metabolic syndrome or those who are under chronic stress or have adrenal insufficiency because of insulin resistance. It will be important for these people to keep a very close eye on their carbohydrate intake (both quality and quantity), especially initially. I know I’m about to get inundated with questions about other sweetener options. Lucuma is pretty much the same as date sugar (it contains glucose and fructose, but is a whole fruit so it also contains some fiber, vitamins and minerals), still not a good choice in large or frequent quantities. Monk fruit stimulates Th2 cells so it’s an immune stimulator. 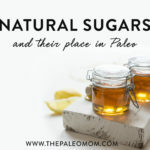 I’m sure I’ve missed some options between all the posts on this blog about sugars and sweeteners, but that doesn’t change the conclusion. There are no good options. Seriously, blackstrap molasses is your best bet simply because of the mineral content, but it’s still sugar. I love treats, so believe me, if there was a way to enjoy a sweet food without negative health consequences, I would have found it by now. Would your recommendations be the same for a Type 1 diabetic child? I’m confused as to what the best is right now. I want to eat natural foods, but at the same time I want to keep her blood glucose as level as possible. It is such a roller coaster when she eats natural sugars. Thanks. I’m a type 1 diabetic of 7 years. Blood sugar balance is my first priority so I stick to stevia and erithrytol when possible. I don’t want to deprive myself any further so I let myself have them occasionally. I think it would be best to limit consumption of non-caloric sweeteners but I know that my body can’t handle maple syrup, honey, etc. even in small amounts. I hope this helps! Hi, my brother is a type one diabetic. I reccomend having sweets right after a balanced meal, and keeping in mind the carbohydrate goals for each meal. Sweets in moderation are okay, and you shouldn’t take them away completely. By consuming something with a higher glycemic index alongside something high in protein it reduces the overall glycemic load of the meal. In other words, the glycemic index of a meal is not the sum of its components, but if the meal is balanced it actually lessens the effect of the sweet/high glycemic index food upon the blood sugar. A good option for dessert is a baked apple stuffed with cinnamon, a little bit of sugar, butter, dried cranberries and walnuts. Keep in mind that a giant brownie sundae isn’t necessary, a small treat is enough to satisfy. My brother’s doctor said it’s important to not overdo fake sweetners as they are bad for the body in large amounts over the long term. Straight stevia is nice, we aren’t perfect, we are human, don’t stress. Glycerin is a bad sugar. I recently found this out. All of those softgel supplements that are made of a glycerin covering—-bad. Awesome article Sarah. I’ve been curious about stevia as I’ve noticed some studies popping up against it as well. It makes sense, sweetness is sweetness… that’s the thing I think we have to learn to accept. 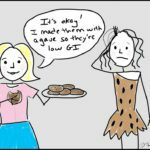 The Paleo treat community has expanded far more than I would have ever liked to see, simply because it distracts from the message and the consciousness that is eating food from the soil.. instead, it’s all prepackaged, gluten-free garbage. Dr. Ford and I discuss how impactful these gluten-free treats really are here. Stevia is truly a miracle SWEETENER. IT IS THERAPEUTIC FOR TEETH AND GUMS AND BALANCES BLOOD GLUCOSE LEVELS. IT IS ACTUALLY HEALTHFUL TO CONSUME, AND CAN BE ANDIS USED, IN THE ORIENT, TO TREAT DIABETES. I WANT PEOPLE TO REFUTE THIS AND SHOW ME RESEARCH THAT SUPPORTS THAT STEVIA IS UNHEALTHFUL, THERE TRULY ISNT ANY CREDIBLE RESEARCH ON THIS. It look like Sarah has several citations on studies about the negative impact of nonnutritive sweeteners. Check them out. I have AI, virtually no ecoli, no eubacterium, no lactobacillus and high klebsiella, high enterococcus , high streptococcus. I have been recommended a low carb no sugar diet with added xylitol. What do you think of this recommendation for this situation? This is GREAT! Not only do those artificial sweeteners taste terrible, but they also wreak havoc on your body. I am a recovering (2 years) sugar addict and add very little sweetener to my treats and it is almost always in the form of honey or dates with an occassional maple syrup. If I have any “regular” treats on occassion they taste so sweet and make me feel like I have had 4 cups of coffee. It takes committment and time! Thanks for posting. How is Yacon as a sweetener? Sarah, you claim that sugar alcohols increase permeability of epithelial cells, thus possibly contributing to leaky gut, but I’ve read the abstracts from all the articles you’ve listed in your citations here, and I see nothing relevant to that topic. Similarly, I see nothing about your allegation that sugar alcohols feed gram negative bacteria, thus contributing to gut dysbiosis. Did I miss something? Please point me in the right direction. These are serious allegations. Thank you. There’s a very well-known doctor on the east coast who is using xylitol to break up the biofilms in the gut to treat infections, so I’m confused now. i’m at the beginning of a Paleo journey and so far everything has been pretty ok. I am reading and learning a lot still, but on the plus side past the sugar withdrawl headaches and am finding that eating all natural foods isn’t that hard. I have PCOS, insulin resistance, and over 100lbs to loose so a controlled sugar diet is important to me. so my question is about sugar. I have 1 cup of coffee a day. sometimes 2. And I am not yet able to drink coffee without a sweetener. I do use much less than i used to – I’m making progress. But i don’t want to be harming my body while i make the transition. If i am to understand what you are posting here It would be better for me to use a tsp or 2 of actual sugar in my coffee daily then to use stevia (what I’m currently using). If this is the case is organic sugar or turbinado sugar better than white sugar? I know i should be off sugar completely. But while transitioning off of so many other non Paleo foods my cup of coffee in the morning is like a cup of happiness. It has nothing to do with the caffeine, it is a tiny indulgence that makes the rest of the day bearable. And honestly i want to think that one cup of coffee a day isn’t hurting my health *that much* but your article makes me wonder. As far as I know white sugar is processed, which is no good. Brown sugar is white sugar in it’ s natural state. Thrbinado (sp) is brown sugar only more expensive. I was wondering if you have ever seen any research on Tagatose. Tagatose is classified as a food product, and not a sweetner. They claim to be just as pure as sugar. It is not a sugar alchohol, but I cannot find any information about “what it really is.” Most of what I read seems to be advertising in some form or another. I’ve used Tagatose for a couple of years now, and probably should stop using it, but I would like to know if there has been any studies on it? And what about different types of fructans? Are they allowed in their “unnatural” form? Thank you for all your information and your great book! So what chewing gum can I use, then? My throat is incredibly dry. Even the “lists of non-chemical chewing gums” all have cane sugar, xylitol, simple syrup, or something on the no-no list. Is there any gum left? I follow on different media. Thank you for the detail, especially on the stevia sugar alcohol side. I gave up my 4 teaspoons of sugar in my morning cappuccino and it took over a month to get my coffee buzz back. I was using healthy fats(aka Mct) in my coffee but that didn’t seem to help for that time. Now I do have my coffee buzz back. Also gave up all added processed sugar, and cut milk consumption way down. That doubled my weight loss over what my moderate exercise schedule normally drops. Also over that time converted from all vegetable oils to healthy alternatives,continuing our lean meats, vegetables and berries/fruit. Typing a lot here since characters are not limited. Definitely feeling the lifestyle. I love the challenge. Ugh. Please do not cite studies that have nothing to do with the claim being made. This study says nothing about erithrytol. In fact, it is not a study at all. It is a review of the existing literature stating that more studies need to be done. Is it futile to try the Autoimmune Protocol if one is unable to eliminate a particular forbidden item (in this case, xylitol)? 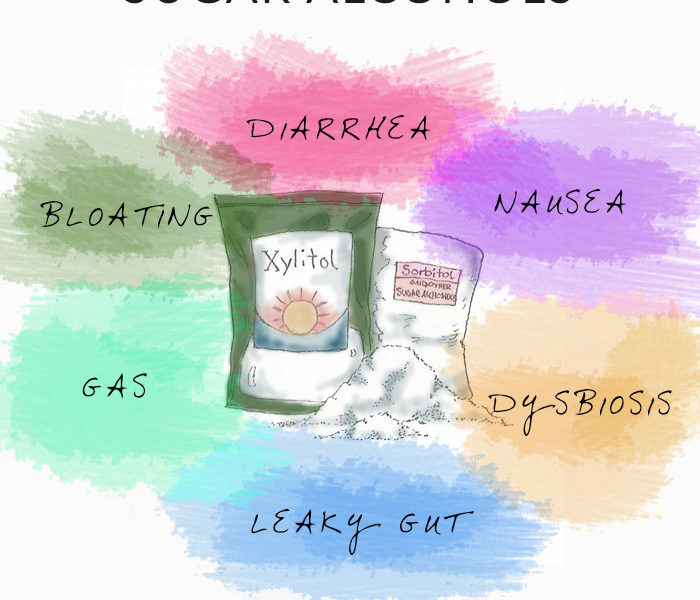 For people with Sjogren’s Syndrome, doctors and dentists strongly urge the use of xylitol-containing products (sugar-free mints/candies, dry mouth products, gum) to help stimulate saliva and prevent cavities. (Severe dental problems, caused by dry mouth, are a significant problem for Sjogren’s patients.) Many of these products also contain other sugar alcohols, such as maltitol. 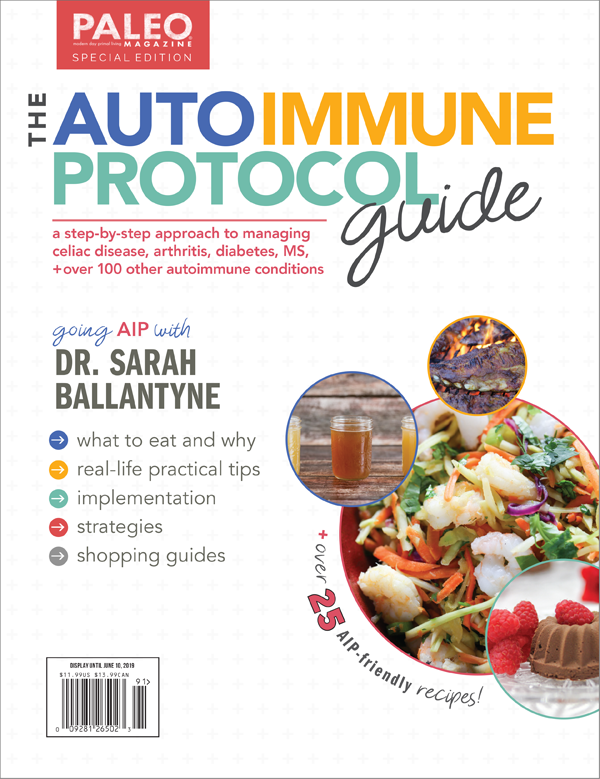 I have Sjogren’s and, with the help of your blog and various AIP books (including The Paleo Approach), I have just started implementing the Autoimmune Protocol. Although the past few days have been rocky, I think I’ve eliminated all the forbidden items — with the exception of the xylitol-containing products. 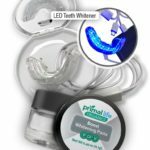 I am hesitant to stop them even for a short period, because my dentist has said that dental problems due to dry mouth can occur very rapidly. Will this completely sabotage any results I might otherwise see from AIP? Thank you. I am curious if they are ok in very small amounts? I am on the AIP protocol right now but I am having a very hard time regulating my sleep. I bought a Melatonin supplement form Source Naturals. It is 1 mg and I plan on only taking half a tablet. The ingedients are sorbitol, mannitol, natural orange flavor, stearic acid and magnesium stearate. It was the one with the least amount of extra ingedients I could find. 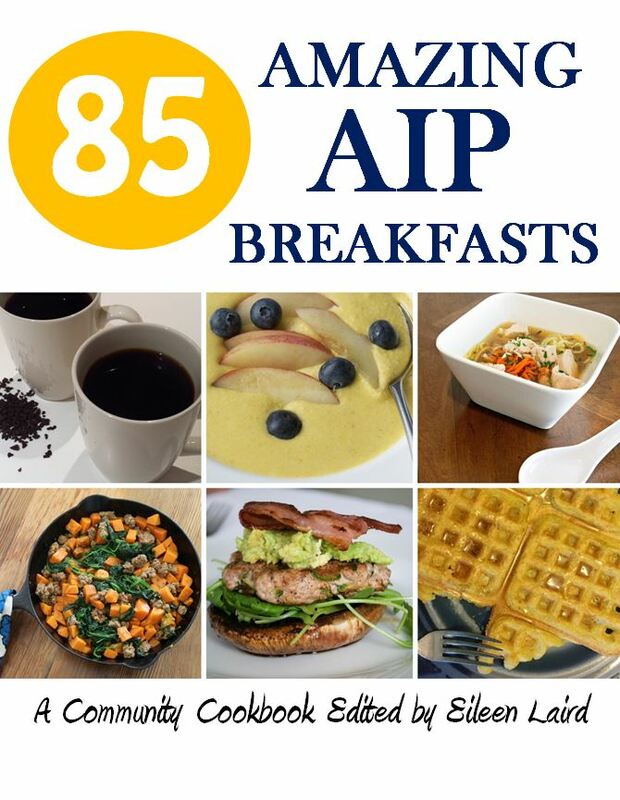 If anyone knows of any other brands that are AIP safe I would appreciate it! What about coconut sugar? Is that ok? Brown, R. J. and Rother, K. I., Non-nutritive sweeten­ers and their role in the gastrointestinal tract, J Clin Endocrinol Metab. 2012;97(8):2597-605 doesn’t mention anything about tight junctions. In fact, it doesn’t reference erythritol at all. I grow stevia and love to break off a piece and eat it with a leaf of peppermint. I can’t imagine this being bad. It’s completely unprocessed. Anyone have an opinion on this.